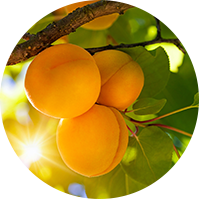 Irrigation has a decisive impact on the fruit size and weight and the crop quality and quantity. However, in order to ensure the efficient use of water,it is also important to observe the required maintenance procedures,such as pruning and thinning. Dripper selection: Choose a dripper suitable for the local site conditions to ensure optimal water supply and quality yield. Drippers not in use: In young orchards irrigated with integral drippers, it is recommended to seal the unused drippers. In case of online drippers, additional installation should be considered depending on the age of the tree. Cleaning and maintenance: Tree landscape pruning and weed clearing contribute efficient irrigation. Adjust the number of fruit on the tree to the spacings between the trees. Adjust the thinning to changes in the water supply: during drought, significant thinning is required. Make sure the distribution on the tree is uniform for optimal water use. Adjust the thinning according to the desired fruit size (usually no less than 60 mm in diameter). 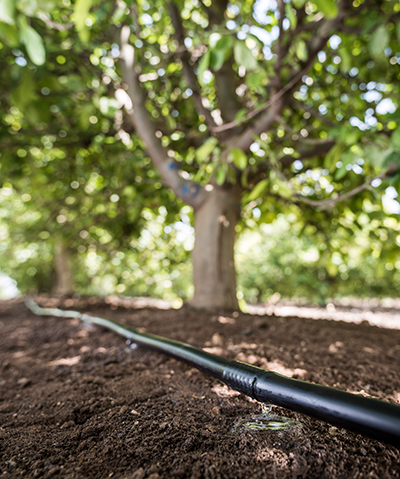 Driplines: In old orchards with high irrigation demands (in tropical and subtropical areas), a second or even third pipe should be planned, to be deployed when the trees yield fruit (from the fifth or sixth year and on). When choosing a dripper, always consult your agronomist or project designer. 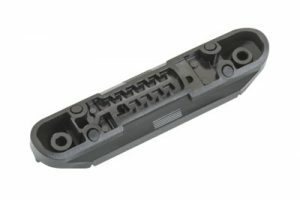 The dripper should suit the hydraulic specifications, the water capacity and the plant needs. For additional information, please consult the Metzer experts. VERED is a flat integral dripper with a unique pressure compensating mechanism and a large inlet filter. It is the most popular dripper for orchards. 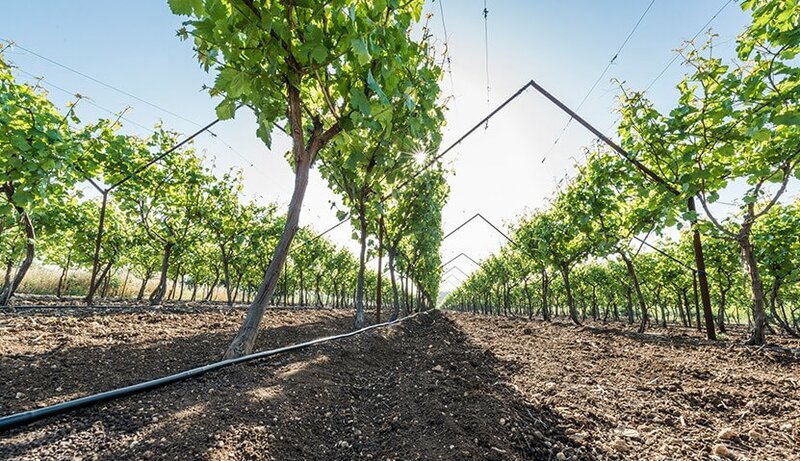 Due to its high durability and excellent field performance, the VERED dripper is also the choice product for growers of vines, deciduous trees and subtropical crops. 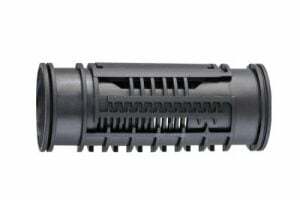 ADI, a cylindrical pressure compensating dripper with a large inlet filter, is considered the best of its kind. 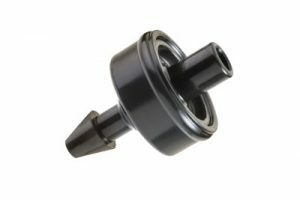 With exceptional reliability and resistance to clogging, this dripper offers the best solution for orchards and row crops in difficult terrain conditions. 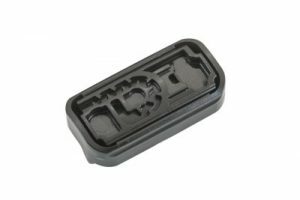 The ADI dripper is also ideal for irrigation with treated effluent, and for subsurface drip irrigation systems. VARDIT is a flat integral dripper with an accurate pressure compensation mechanism. It is the most suitable choice for a modern, well-designed orchard with an adequate water source. With its elegant and relatively small structure, the VARDIT is an economical dripper providing quick return on investment. GALI is an online PC/PCND dripper with a unique pressure compensation mechanism and a compact structure. It is highly efficient and economical, a small dripper with great performance. The GALI dripper is the right choice for new plantings, young orchards and greenhouse crops grown on soilless substrate.